Somewhere between Wall Street and Madison Avenue lives the future of both. 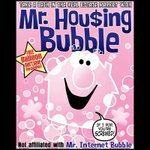 SG: Will the housing bubble burst? LR: I do not believe almost anywhere in the country this supply demand situation is so out of whack that you’re going to see a traditional bust. Mortgage lines rarely actually bust. In fact, I think that in the entire history of mortgages post WWII, we’ve only actually had five busts. When mortgage markets reach a problem, they generically stop going up and stay the same for 5 or 6 years. That’s how they work themselves out. They rarely drop out of bed. In the five instances where mortgage markets have dropped out of bed, it was because of extraordinary circumstances. Texas during the 80’s when the oil patch blew up and people left Houston hand over fist so the reason housing went down so much is not that interest rates were too high or the price of the house was too high, there was just nobody to sell them to. I mean, there were more people trying to sell houses than there was anybody to sell them to. That was the same situation in Southern California in the early 90’s when the inland empire looked like it was about to become Atlantis. It wasn’t a matter of rates; it wasn’t a matter of anything other than just overcapacity and lack of buyers at any price. So, housing’s slowing down, but I don’t expect it to be a disaster. I think where there may very well be problems, significantly in the sub-prime area. Sub-prime is a creature of the last 5 or 6 years. It historically has never really existed so it did not exist through a cycle. This will be the first cycle, and the combination of high loan values and somewhat aggressive underwriting makes those loans susceptible to even a marginal decline in housing values. Church Lending: Jeremy, I could not agree more.